Provides quick access to all the features with easy to understand work-flows. Easy to locate feature capabilities and options. Highly intuitive system that swiftly takes you to automation for effectively utilizing your time. 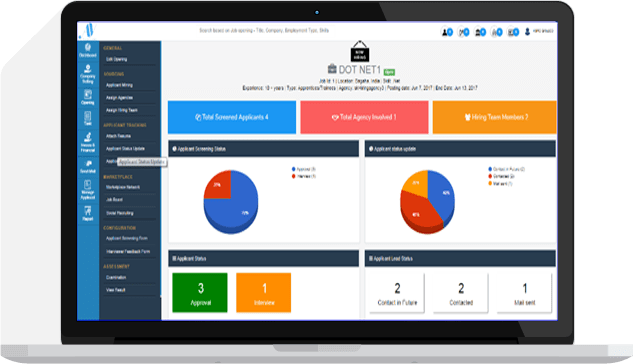 EnterpriseRecruit is beyond the Application Tracking System (ATS). ATS only tracks the application process management, whereas, EnterpriseRecruit manages the entire recruitment life cycle from the job opening to the payment process. You can post multiple job openings on multiple job boards and social media channels; enabling you to attract more candidates with the strategy of post once, publish everywhere. 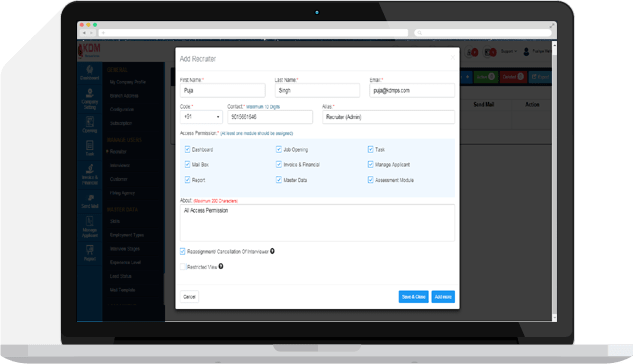 EnterpriseRecruit allows effective staff management without sacrificing your productive time. 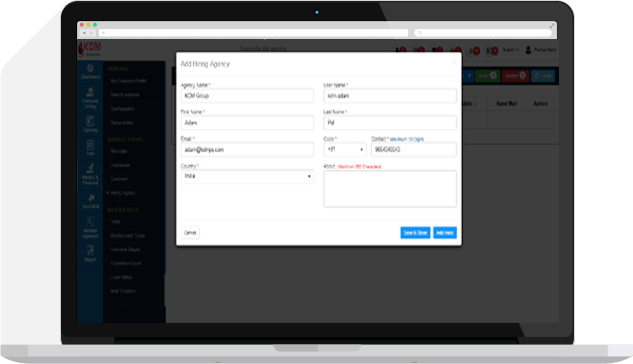 If you are the admin for your EnterpriseRecruit account, you have access to every aspect of the application. Whereas, the Recruiters will have access based on assigned privileges (i.e. role based access). EnterpriseRecruit enables you to customize/ set-up complete hiring teams and manage their roles and responsibilities including the Interviewers and External HR Consultancy. 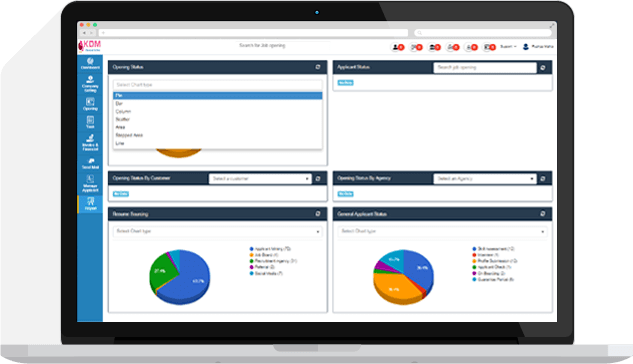 Assign specific roles for every job and track the outcome with our opening activity dashboard. Each job you create in EnterpriseRecruit has the specific option of adding ‘Assign hiring team’ and ‘Assign agencies’. Transparent communication allows everyone to be on the same page. 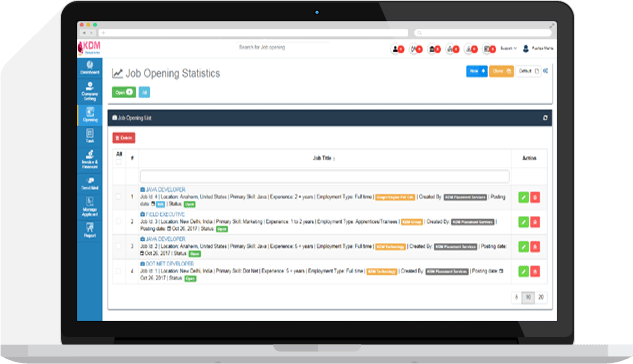 EnterpriseRecruit provides graphical representations of statistical and detailed reports for different stages of the recruitment life cycle. This graphical representation enables faster decision making and saves substantial time spent in calculating the information manually. With the efficient graphical reports, you could use the time for other activities of greater importance. What can EnterpriseRecruit do for your business?